You gotta love clogs. Slip on, slip off. They go great with jeans. No spiky heels to navigate in. And when they have metal studs, how could you not wear them. These remind me of the coveted Mia clogs I had back in high school. I don't know whatever happened to them. 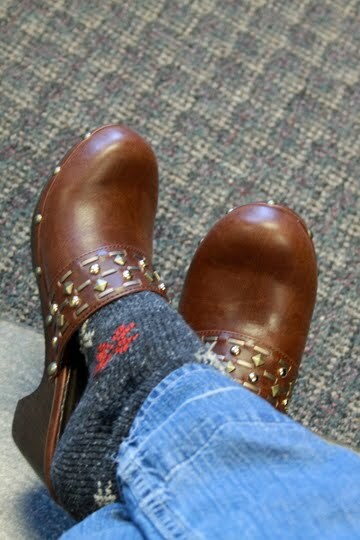 I suppose some bad fashion of the 80's swooped in and then suddenly those coveted Mia clogs were nothing but outdated. And now, 25+ years later, you're seeing clogs like the Mias everywhere.